Warm up your classroom with these frosty winter wonders! 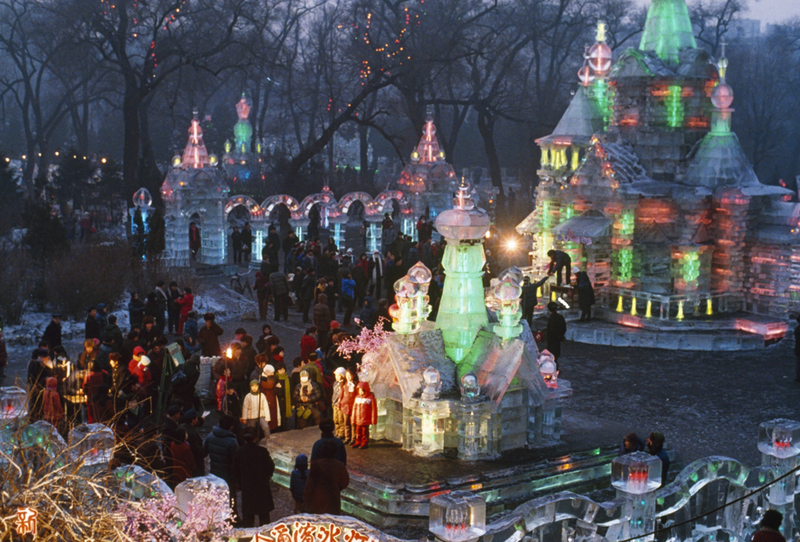 The Harbin (China) Ice and Snow Festival has been celebrated since 1962. For more than 30 years, the city of Harbin in Northeast China has hosted the Harbin International Ice and Snow Festival, beginning January 5th and continuing for about a month. Every year artists, enthusiasts, and ice-sculpting experts descend on Harbin to participate in the festivities. The event has progressed from a snow-and-ice exposition to an annual cultural exchange that includes ice skating, weddings, and parties. Click here to learn a little more about ice. What other chilly cities offer ice and snow festivals? Would your students check in to any of the “ice hotels”? Russia is well-known for its frigid winter climate. This fact might lead one to think that the country would be well-prepared for even the harshest of conditions. You might be surprised to hear that in the metropolis of St. Petersburg in 2009, five people died and at least 150 others were injured by a little known winter hazard—icicles. Nine years earlier, icicles killed more than 70 people in Moscow during Russia’s coldest winter on record. These everyday ice formations become deadly projectiles when dislodged from the eaves of buildings. Even the Windy City isn’t immune. Is your community at risk for icicle threats? Since official record-keeping began in 1912, the coldest temperature ever recorded was -89.2 degrees Celsius (-128.5 degrees Fahrenheit) at Vostok, Antarctica, on July 21, 1983. Vostok is a Russian research facility located about 1,300 kilometers (186 miles) from the South Pole. Click here to learn more about Earth’s extremes. Why did the temperature in Antarctica drop in July, and not January? Why do you think it’s colder near the South Pole than the North Pole? Who knows how to create a glacier? I know how to make an ice cube, but I had no idea it was possible to make a large-scale one. In India, one man has mastered the art of glacier making. Chewang Norphel, a retired civil engineer, has been constructing artificial glaciers for several years in an effort to conserve water in the high-altitude region he calls home. Natural glacier meltwater is diverted into man-made holding sites made of stone, which are located on the shady side of the hill where the run-off freezes. Inside the holding site, pipes are located every 1.5 meters (5 feet) so that water can be distributed when needed. Click here to learn more about glaciers. What mountains do the natural glaciers in Ladakh, India, come from? What Indian rivers are fed by glaciers? Frost does not literally bite, but it can be quite painful. Frostbite occurs when skin is exposed to extremely cold temperatures. Typically, frostbite affects extremities that are exposed to the cold air, such as fingers and earlobes. But when the temperature is -7°Celsius (20° Fahrenheit) or lower, and the wind chill is in the sub-zero range, frostbite can set in within minutes. Click here to learn more about frost. Does your community experience frost? Who might be at risk for frostbite—those who work outdoors, mountaineers, the homeless? Former Nat Geo Intern Becky Hafer wrote this back in 2011, and it’s just as relevant today!